Exclusive Art Stream - Patreons Only! Last week, we invited our community to help support the Trese Brothers mission through Patreon. Pledge a monthly donation to help support the Trese Brothers and get sweet rewards! If you haven't heard about Patreon, take at the exciting rewards we are offering and considering pledging $1 to $5 to help us continue to make and update games you love! 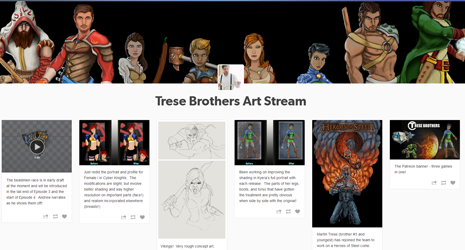 Tonight, we unveiled the reward for the $20 pledge - the Exclusive Trese Brothers Art Stream. Only available to Patreon backers, we packed this first blast full of extremely exciting goodies! A video showing off the new and upcoming beastmen monster race for Heroes of Steel, Before-And-After comparisons for the new Female Cyber Knight updates as well as Kyera's art upgrades, straight-from-the-pen Viking concept art, and the draft title for the new Heroes of Steel comic that Martin Trese (yep!) is wrapping up now. Let's look at this way. The Trese Brothers team has an art bucket. We just punched a hole in the bottom of it and the best is leaking right out into this art stream. If you ever wanted to get close to the source, and see our work-in-progress, and know what's coming next - this is it! 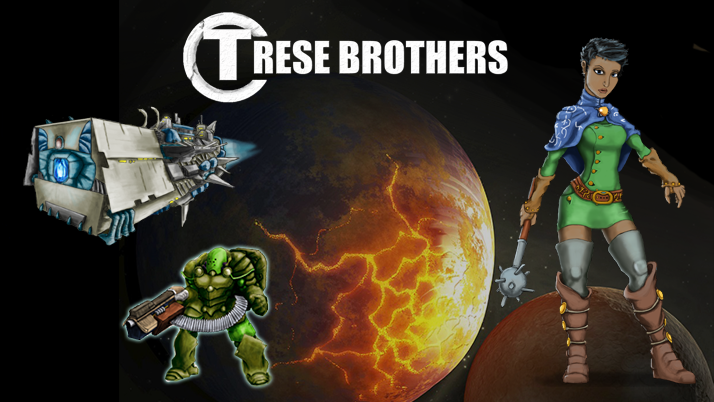 We hope you'll consider helping Trese Brothers continue to create and update our games with a monthly pledge, even a few dollars help us carry on our mission. Death before Dishonor, Templar!